Awesome! 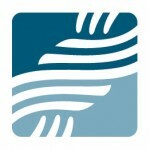 Feel free to visit https://team.org/serve for more info. Ever since Jesus started telling parables, His followers have known how effectively stories can point people to God. Stories encourage us to let down our guards. They let us see God in ways our stubborn, skeptic hearts couldn’t otherwise. That’s why missionaries around the world tell Christ-centered stories through video, painting, radio, music composition and more. Through creative arts ministries, they get to share the greatest story ever told — and God changes hearts for eternity. 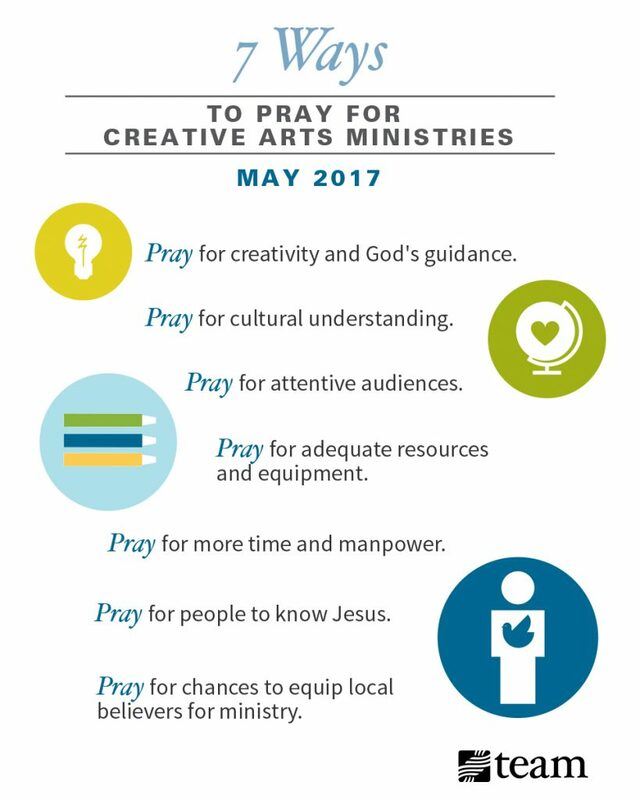 Will you pray with us this month for creative arts ministries? Click the image below to get a printable version of these needs. Then, sign up here to get the new prayer focus in your inbox each month. Pray for creativity and God’s guidance. It’s no surprise that missionary artists need prayer for creativity. Their goal isn’t just to produce great works of art but to make pieces that open doors for conversations and present Gospel truths so they stay with audiences for weeks, months and years. Ask God to inspire missionary artists and guide them to the right kinds of projects. Pray that missionaries will be attuned to God’s voice and ready to take risks as He leads them. If you know how to paint in America, you know how to paint in Thailand, right? Well, not quite, according to TEAM missionary Kennedy Paizs. 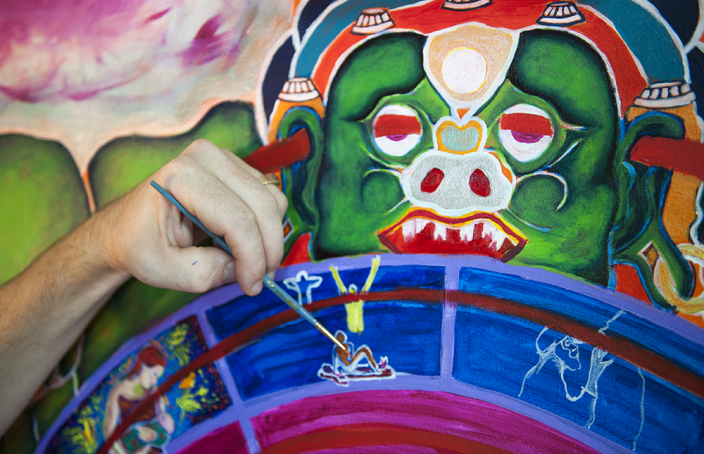 Kennedy connects with Buddhists by painting in public spaces and putting on art shows. 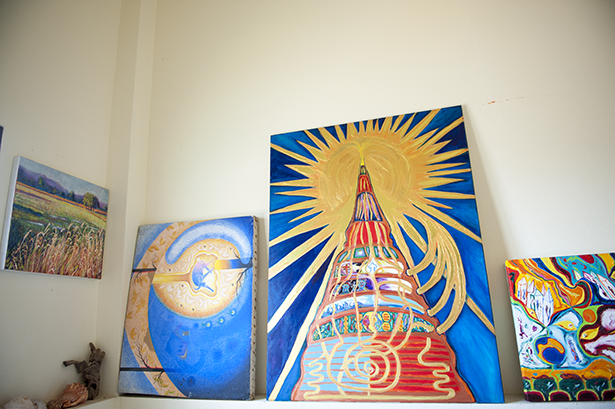 But local artists have taught him that the Buddhist worldview undergirds much of Thai art theory. If he wants to start meaningful conversations with a Thai audience, Kennedy’s art needs to reflect that understanding. Pray for opportunities for missionaries to learn more about their host cultures. Pray that they will know how to infuse their art with this understanding and effectively lead others to the truth. 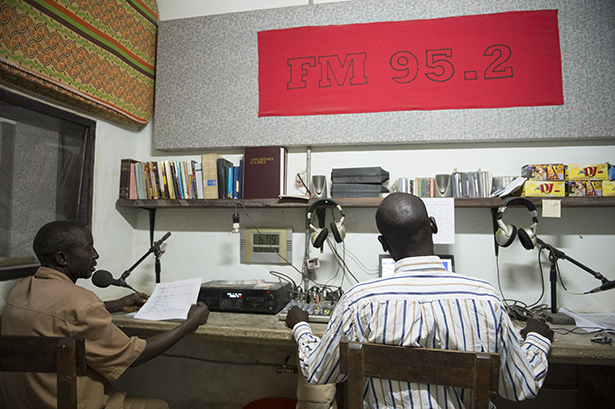 Every day in Chad, families turn on their radios to hear the Gospel proclaimed through songs, devotionals, testimonies and radio dramas. Meanwhile, TEAM missionaries Mark and Diane Vanderkooi pray for a “holy hush” over the places where their radio program plays. Like all creative arts missionaries, they know their work is rendered useless if no one stops to take it in. Ask God to quiet hearts and minds as they encounter the art missionaries create. Pray that they will understand the message presented and that they will be eager to learn more. Pray for adequate resources and equipment. Fixing computers may not be your first thought when it comes to creative arts ministry. But one TEAM missionary uses his IT skills to keep a Christian production group’s computers and programs running well. Through his efforts, the group can make high-quality Christian films and audio programs. And those programs are reaching people in countries where western missionaries cannot go. Whatever their art form, pray that missionaries will have the tools they need to make excellent, effective art. And ask God to provide resources and co-workers to keep equipment in good repair. Pray for more time and manpower. The Vanderkoois would love to create more songs and dramatic Bible readings for their radio station, but they don’t know when they’ll have the time. Like many missionaries, the Vanderkoois have multiple ministries seeking their attention, and the needs are endless. For now, the Vanderkoois and a few locals give what they can to the station. But they also pray for a full-time staff member who can give it his or her all. Ask God to give missionaries time to create new productions. Also, ask Him to send more workers with the right skills and heart to serve in creative arts ministries. Each week, women in Italy and Spain get together for missionary-led patchwork classes. Most of the women aren’t saved, but the simple outreach gives them many opportunities to hear the Gospel, whether through formal presentations or casual conversation. Ask God to open the ears and hearts of these women and others touched by creative arts ministries. Pray for a clear understanding of the Gospel, and ask that many people will be saved. Pray for chances to equip local believers for ministry. A missionary’s use for the arts doesn’t end with evangelism. 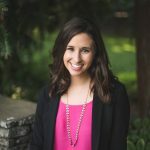 Kennedy Paizs teaches artists how to share the Gospel through painting. Another missionary gives believers in her patchwork class the chance to share their faith. And another uses her skills as a musician to teach Asian believers how to write worship music. Pray that creative arts ministries around the world will continue through the people they reach. Pray that missionaries will know how to pass on their skills to new believers. And ask God to grant new believers each of the requests listed above.